There are two questions to consider here: how to use the phonemes (and their phonemic symbols) in your lessons, and how to teach them. In the Using Phonemes in the Classroom – When? post I talked about regularly using the phonemes with shorter term classes, even without a thorough introduction. Once I introduce a phoneme with new vocabulary, I’ll encourage students to practise the sound. I’ll also elicit other words with the same sound and draw their attention to it when that sound arises again in later lessons – which it invariably does. This is particularly useful with the schwa (a vowel sound in unstressed parts of words, such as the ‘a’ in about or the ‘e’ in moment; the phonetic symbol for this is /ə/) as it occurs so often in spoken English. I have two main approaches to teaching a lesson which introduces all the phonemes and the phonemic symbols. Having made several sets of cards, each set containing one of each of the 44 phonemic symbols, I group my students into threes and give each group a set of cards. In addition to the phonemic symbol each card also has an example word on it with the relevant sound underlined. I ask them to first separate the cards into three different categories of their own choosing (speaking aloud each word and sound as they go along) and see what decisions they make. Next, I’ll elicit or identify the three categories on the whiteboard as vowels, diphthongs and consonants. To help with this I might tell them that there are 12 vowels, 8 diphthongs and 24 consonants. the teeth, etc, for example /ɑː, e, ɔː/. Having given each group the opportunity to re-categorise their cards and checked their choices, I then ask them to concentrate on the vowels. I ask them to identify 5 pairs of vowels within this category. If students struggle I’ll explain that the pairs are made up of short and long sounds and elicit examples to the whiteboard (eg: /ɪ/ as in sit, /iː/ as in seat). Working in groups however, students are usually able to hazard a good guess as to how and why the sounds are paired. 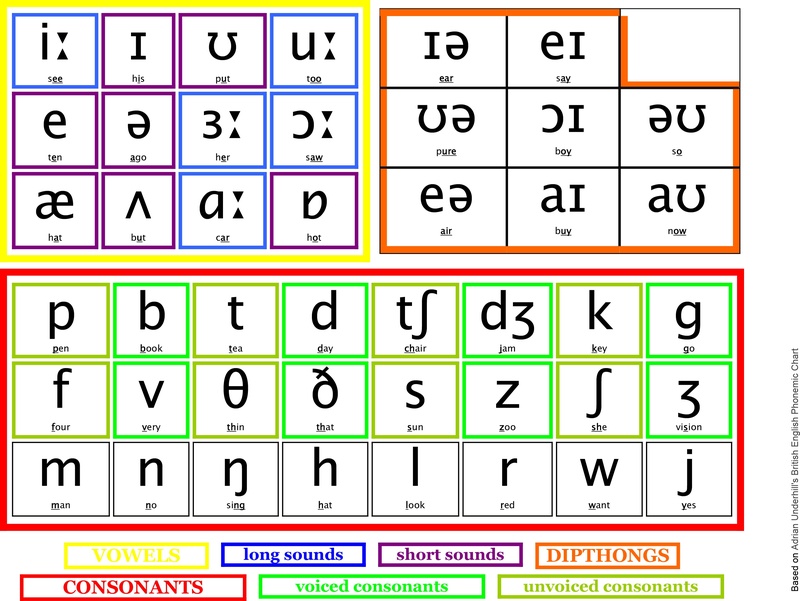 This is also the point at which we look at the diphthongs more closely and play (physically and vocally) with gradually pairing two short vowel sounds into a diphthong. After feedback and error correction, the next task is for students to sort the consonants into voiced and unvoiced pairs. Asking students to place their hands on their throats and feel for vibrations is a good way of helping to identify whether a sound is voiced or unvoiced. are /m/ , /n/ and /ŋ/, as in sum, sun and sung. English words wet, red and yet. Sometimes I ask students to think about the alphabet and identify which letters are missing from the phonemic chart. We talk about the pronunciation of each missing letter as well as the sounds it makes in words. The letter Q for example is pronounced / kjuː / and in the word queen sounds like /kw/. Ask students to write their names in phonemic symbols – this usually leads to a great deal of interest and satisfaction as students hear each others’ names pronounced correctly by their peers or teacher for the first time! Be aware though that many students’ names contain sounds that we don’t have in English. Credit for this idea goes to my partner, George Dillon, who started using song lyrics to teach phonemic symbols many years ago and inspired me to do the same. There are various programmes available online which transcribe English passages into phonetic script (but check the transcription carefully – they do make mistakes, especially with elision, and you may disagree with the pronunciation). For students who aren’t familiar with the symbols I would write a few words up on the whiteboard and elicit a few individual sounds before writing up their relevant symbols. 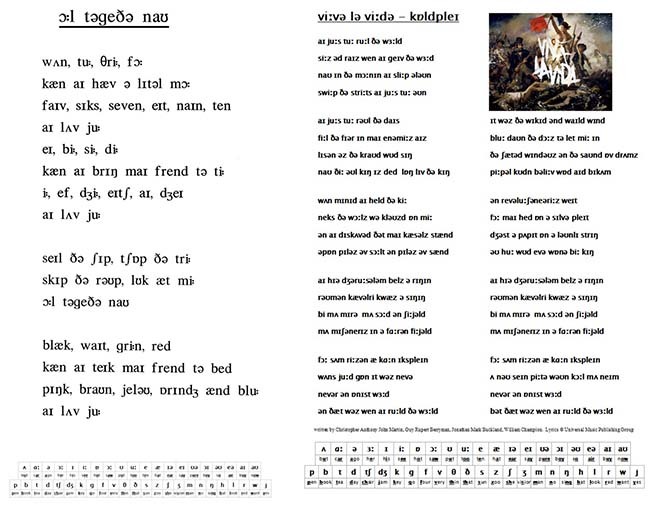 Once students then have the idea that each sound has a corresponding symbol, I give them a handout with song lyrics (transcribed into phonemic script) and a code at the bottom of the page. Working in groups students then have to work out the words of the song and write them in English. 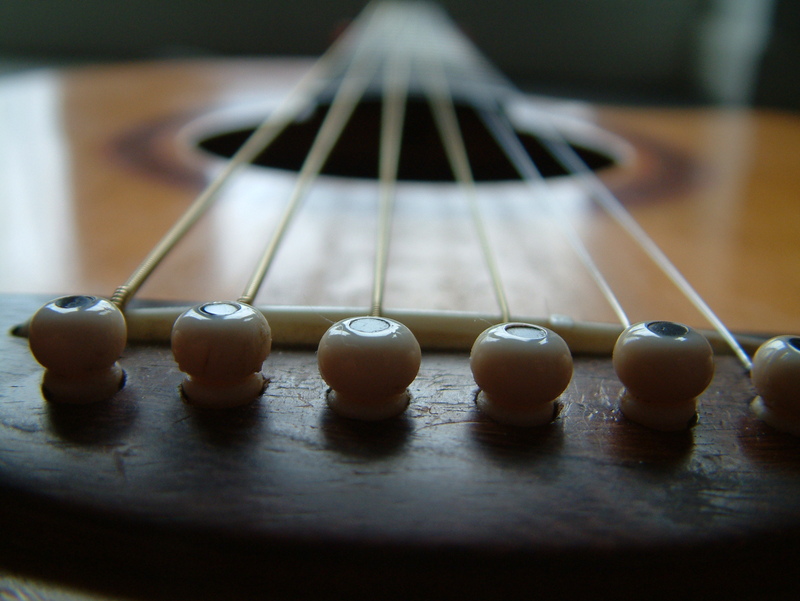 Choosing the right song can be tricky as some artists can be difficult to hear or change their pronunciation in such a way that’s too unlike spoken English to be of much use. Students need to say the sounds aloud and put them together in order to hear what the words are. You can draw attention to the way that sounds change according to other sounds around them – elision, connected speech, strong and weak forms, etc. An important point about either of these introductions to the phonemes and their symbols is that students must be encouraged to make the sounds. Recognising the symbols is useless if the production of the sounds represented is inaccurate, so special attention should be paid to the sounds as they’re discovered in the lesson. Pronunciation is a physical activity which uses the body – the organs of speech – and should be treated as such. There are other methods of teaching the sounds – Adrian Underhill’s approach is particularly worth noting as he takes a very physical approach to eliciting the correct sounds from his learners. Whilst I always include elements of this, it’s a method I’d like at some point to study further and try out more thoroughly. in which I reconsider some of what I’ve written about here. Pingback: Using Phonemes in the Classroom | "To Teach Me, You Must Know Me."